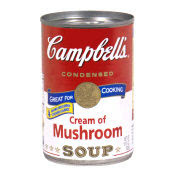 Here is a printable coupon to get $1.00/4 Campbell’s Cooking Soups. Not as great as the $1.00/2 we all had previously, but better than nothing! Enjoy! !